Uncategories Gramin Dak Sevak Recruitment 2018 for Uttarakhand & Andhra Pradesh Circle – Direct Link to Apply! Gramin Dak Sevak Recruitment 2018 for Uttarakhand & Andhra Pradesh Circle – Direct Link to Apply! 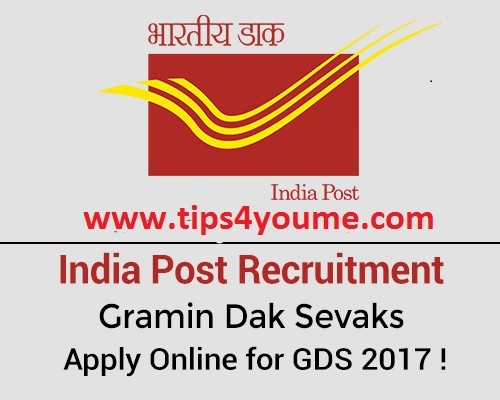 India Post has invited applications from the eligible candidates for Gramin Dak Sevak posts in Uttarakhand Circle to fill 744 vacancies. Earlier this month, India Post had released the new recruitment notification for Andhra Pradesh Circle for 2286 vacancies and recently the last date to apply for this recruitment has been extended. Do not miss this golden opportunity and apply before the Application process ends. Read further to know the Important Dates, Vacancies, Eligibility Criteria, Exam Pattern, Selection Procedure, Salary, Application Fee, How to apply and more for the GDS Recruitment of Uttarakhand & Andhra Pradesh Circle. Join India’s #1 Test Series Now! · You should pass 10th class from the approved state boards recognized by the State or Central Govt. of India. · You must have computer knowledge and should have completed basic computer training certificate for at least 60 days from a recognized Computer Training Institute. · Those who passed the 10th class examination in the first attempt will be given more preference. · The selection procedure is based on marks obtained in 10th standard. · Automatically generated merit list will be prepared based on 10th class marks. · 10th standard percentage to the accuracy of 4 decimals will be the criteria for final selection. · If you get same marks as another candidate, the person with the higher date of birth will be preferred. After that preference will be given as – ST female, SC female, OBC female, UR female, ST Male, SC Male, OBC male, UR male. 1. Click the Direct link given for registration. 2. Enter your personal details carefully & fill the registration form. 3. You will receive a generated registration number. Make sure to note it down for future use. 4. After registration, login for online application given above. Those who are already registered can go to direct link for Online Application. 5. Select the circle for which you want to apply. 6. Fill your remaining application form. 7. Preview your application and print it. 8. Make payment at the Head Post Office at your circle. 10. Click Registration at the left corner of the homepage. 11. Click the link given for registration in the left corner and follow the above steps from 2-8. Note – You can apply for more than one post in more than one circle (posts and circles as given in the official notification). You have to give the preference order. The post will be offered as per your position in the merit list. The application fee can be submitted at any Head Post office of the state. The Pay Scale varies according to the post for different states. For more information see the full notification. India Post invites Gramin Dak Sevak Recruitment application form for the various post under Andhra Pradesh Circle. According to the latest updates, the new vacancies have been released for Andhra Pradesh after the cancellation of the previous recruitment drive. Apply now for 2286 vacancies before the last date runs out i.e. 24th May 2018. Read on to know the GDS Important Dates, Vacancies, Eligibility Criteria, Selection Procedure, How to apply etc. · You should pass 10th class from the approved state boards recognised by the State or Central Govt. of India. · Those who passed 10th class examination in the first attempt will be given more preference. · The selection procedure is based on marks obtained by students in 10th standard. 3. You will receive a registration number. Make sure to note it down for future use. 4. After registration click on Apply Online. 8. Make payment at any Head Post Office. 10. Note: If you have already registered before, you can use that registration number to carry on the further process.